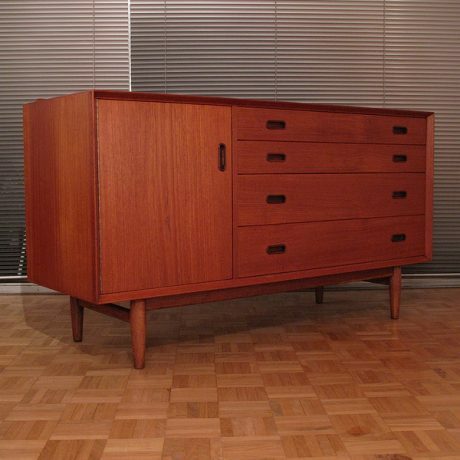 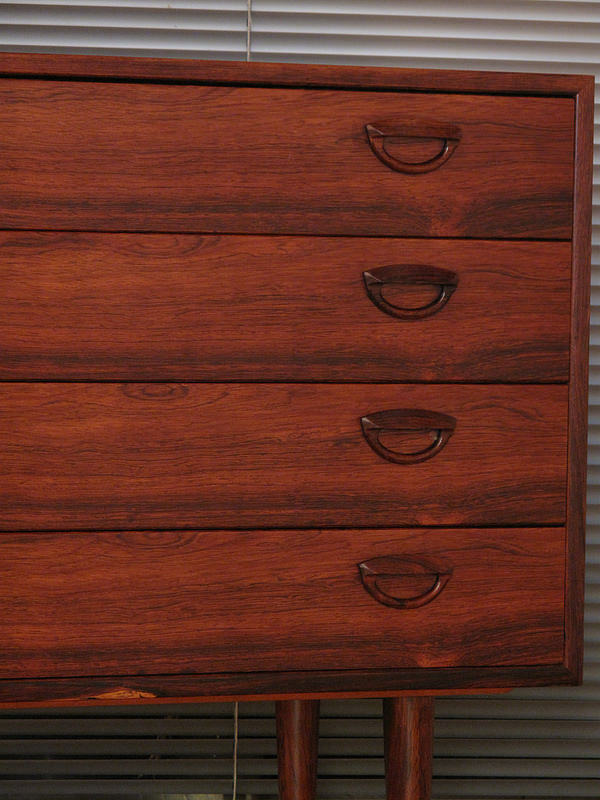 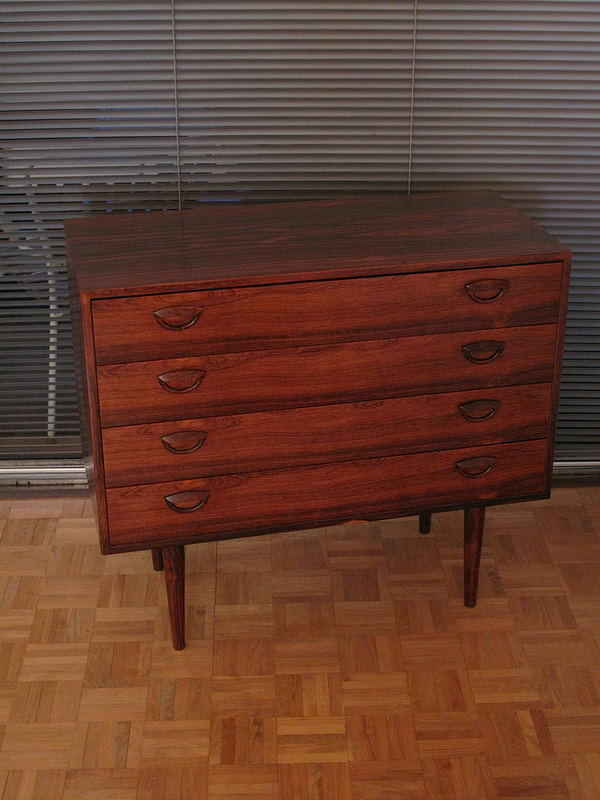 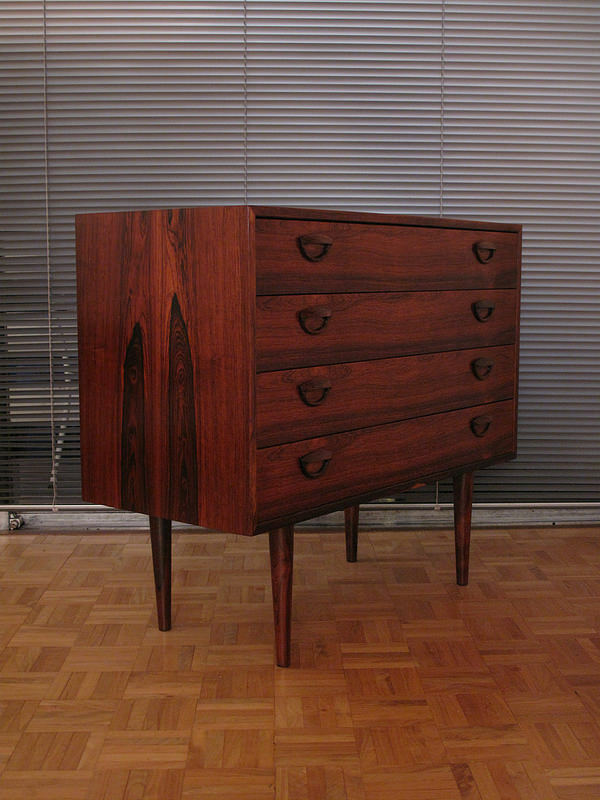 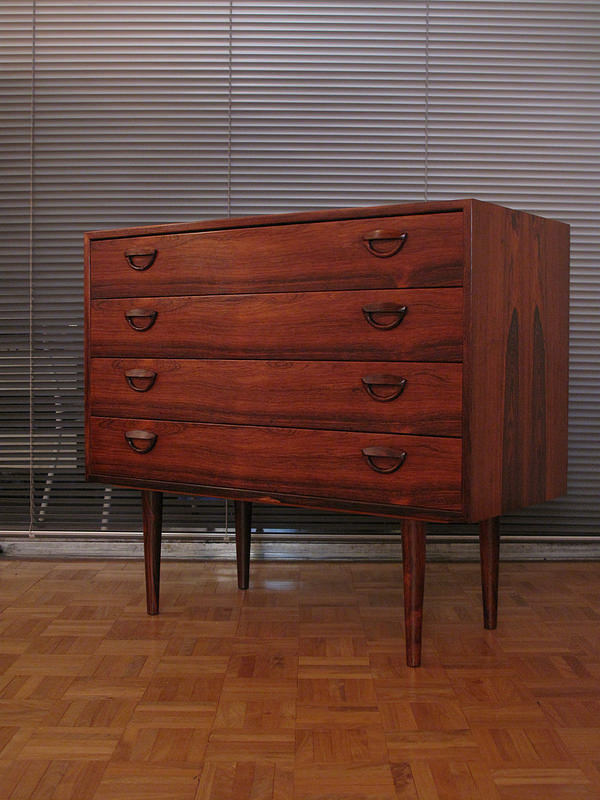 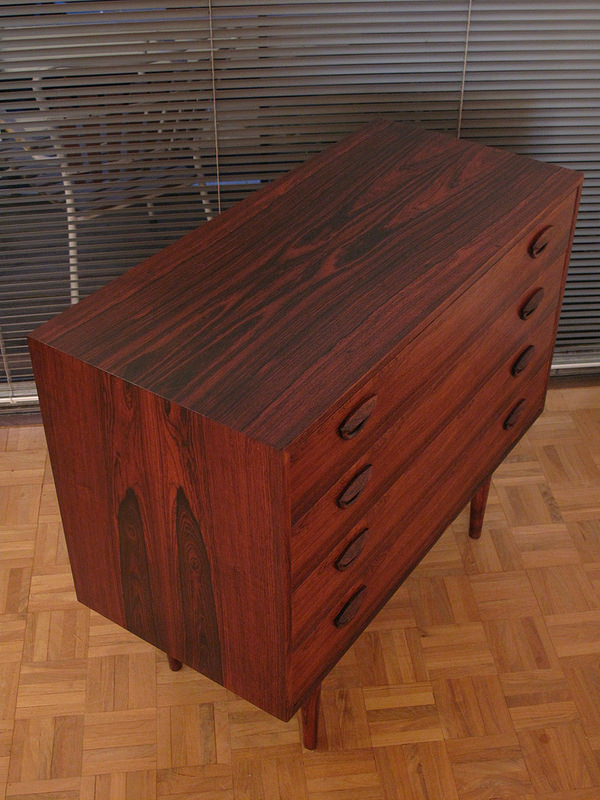 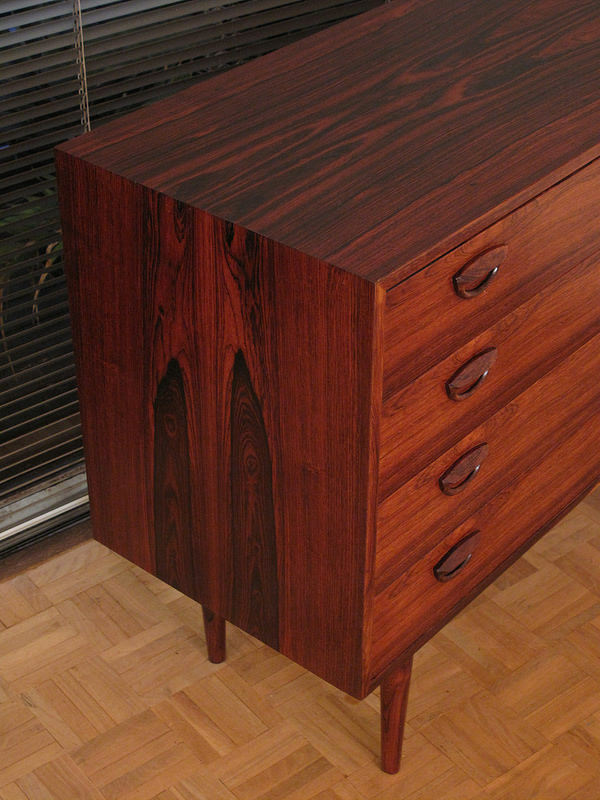 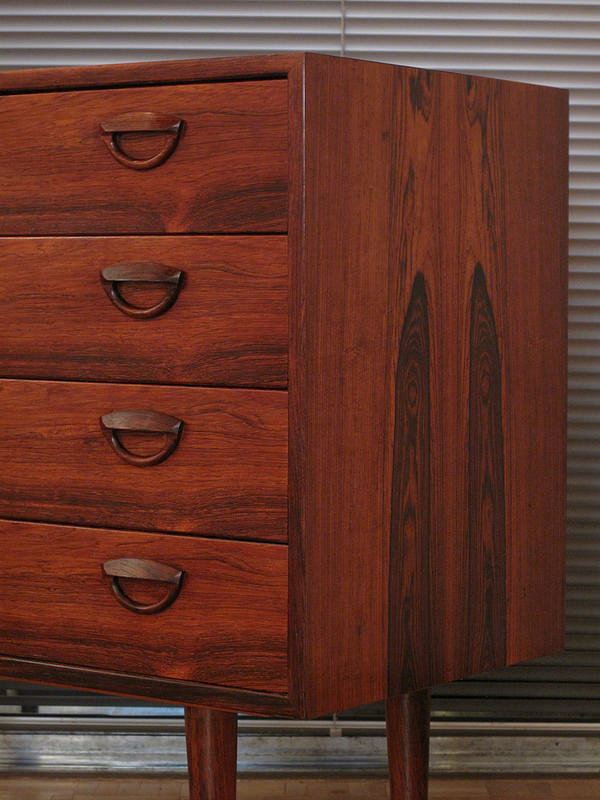 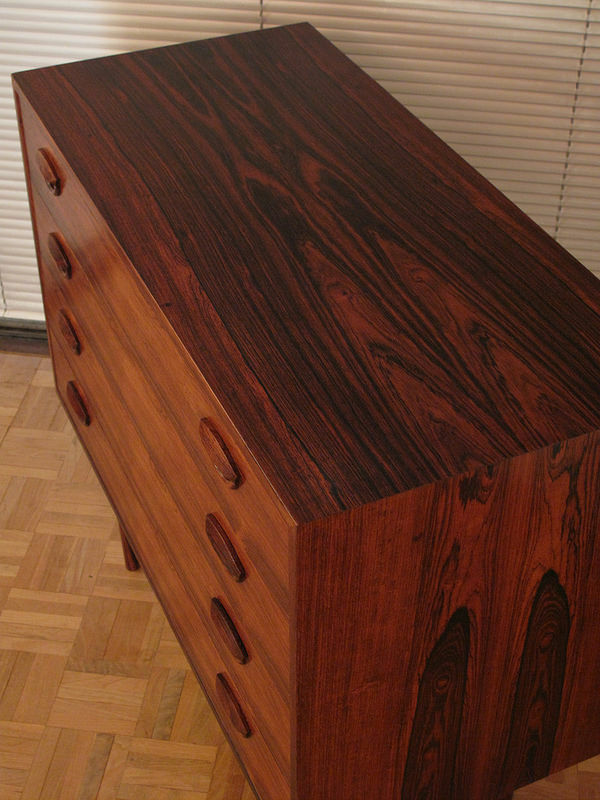 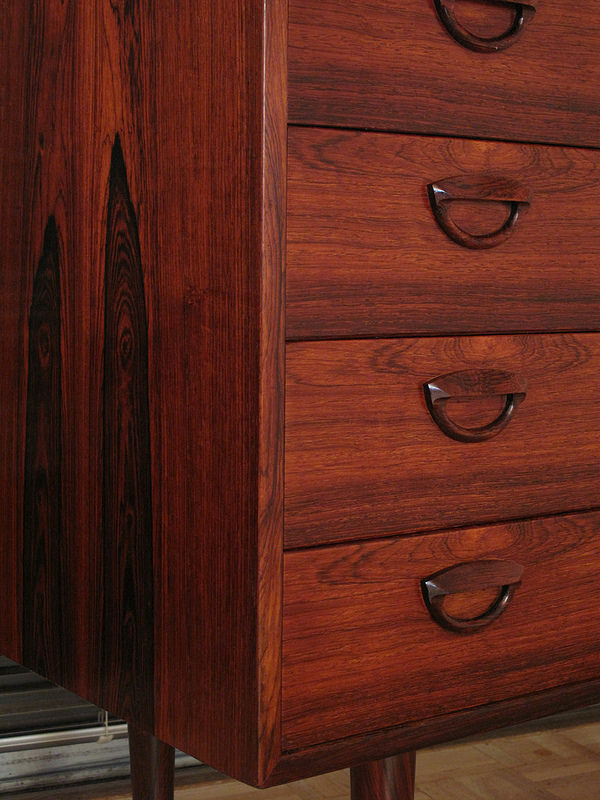 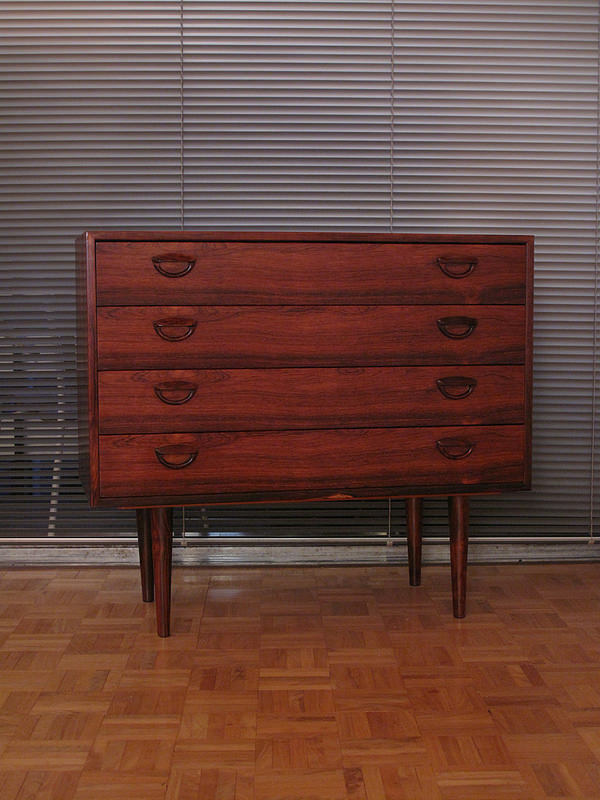 A lovely chest of drawers featuring lush Brazilian Rosewood grain designed By Kai Kristiansen in the early 60’s for Feldballes Mobelfabrik, Denmark. 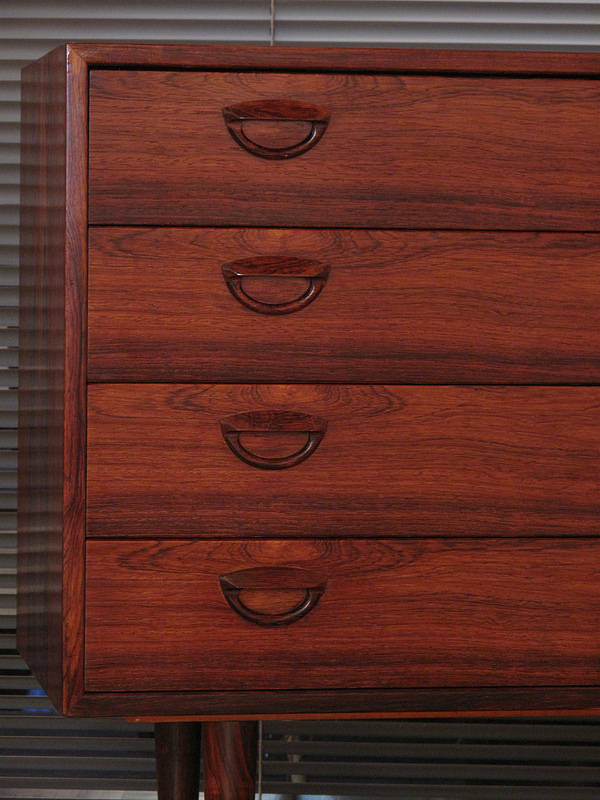 Beautifully detailed with finely crafted drawer pulls. 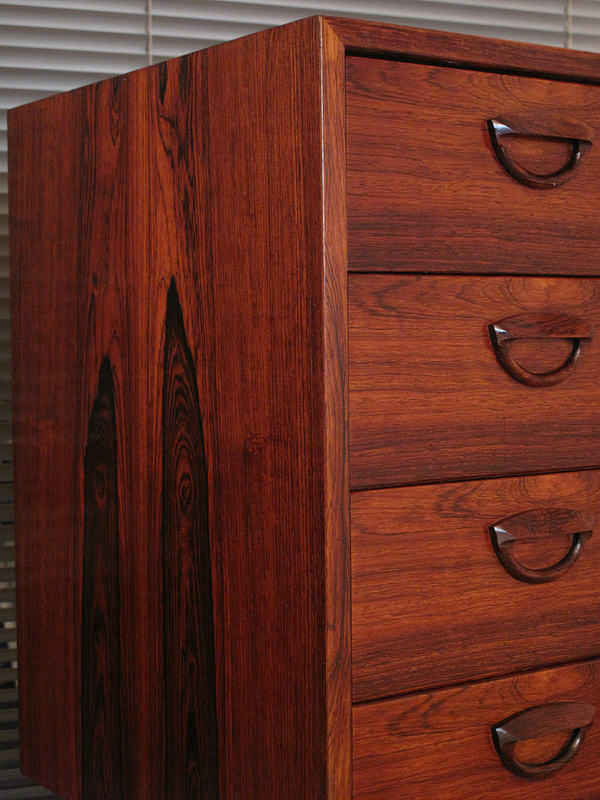 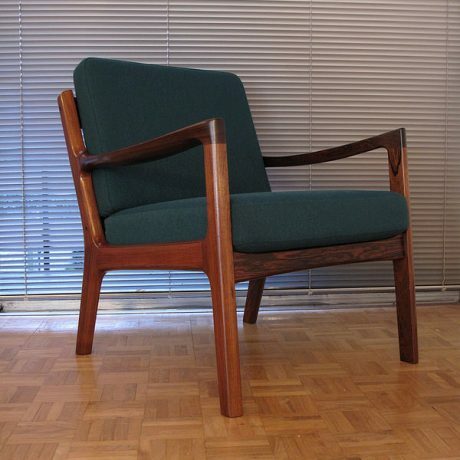 The dimensions are compact so this can be a very versatile piece of furniture put to work in a variety of different room settings. 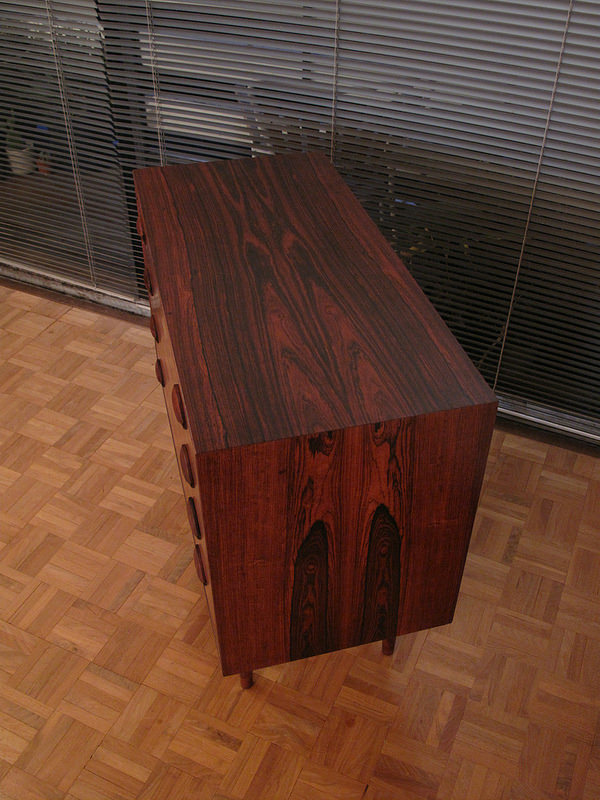 DIMENSIONS: 85.5cm Long x 76 High x 40 Deep.